I play both Concert Grand pedal harp (the larger of the two pictured above) and the Celtic lever harp (the smaller of the two). 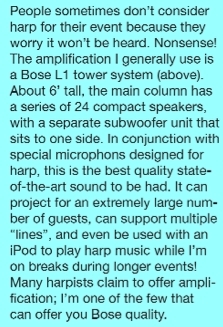 Either type of harp can be amplified for large events, or venues with difficult acoustics. The pedal harp is best suited to formal indoor events, whereas the Celtic harp is my standard outdoor and Celtic/traditional music instrument. The Concert Grand pedal harp stands just over six feet tall. Mine is a Lyon and Healy Style 100CG. It has 47 strings and weighs about 90 pounds. It is strung in wire, gut, and nylon, giving it a very grand, formal, regal sound and tone. Serious classical music often requires this type of harp to facilitate frequent key changes and chromatics. 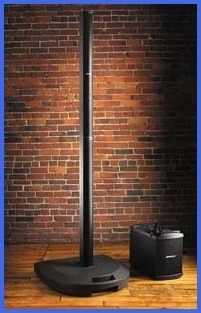 A pedal harps is primarily an indoor harp, however, and isn’t the right harp choice for all locations and settings. The Celtic Lever Harp is a spectacular instrument in a somewhat smaller package. It stands just over four and a half feet tall and weighs about 45 pounds, but has only 11 fewer strings than the Concert Grand. (You’d never miss those strings, either.) This is the traditional instrument of Celtic music, but is versatile enough to handle just about any genre. The nylon and wire strings on this harp, coupled with its resonant bubinga wood, give the harp a rich, bright, friendly tone that is universally appealing. 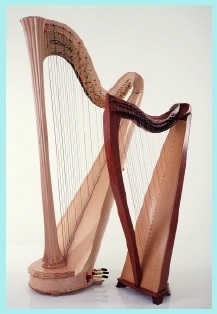 While it isn’t always suited to complex classical music, it is an ideal harp for outdoor events and handles most wedding music, for example, with ease. 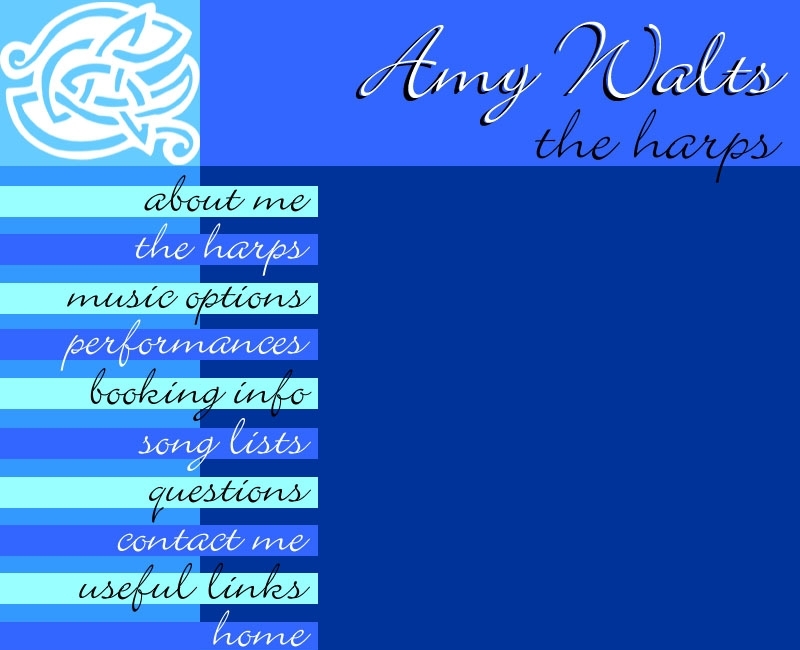 I’m happy to help you choose which harp is best suited to your special occasion based on repertoire and setting.